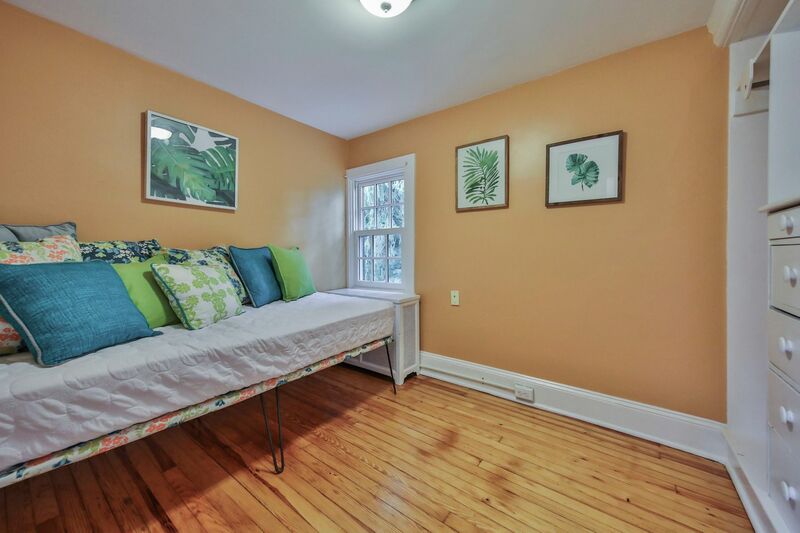 Move in together! 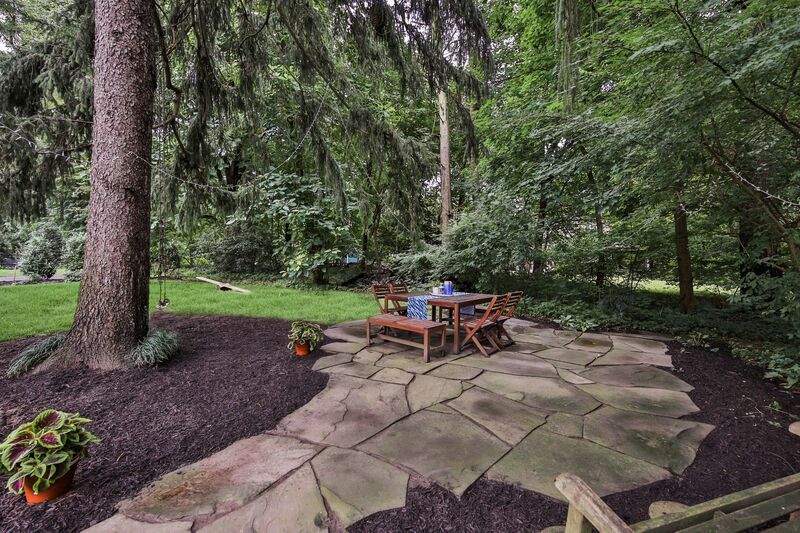 This extremely rare property in coveted West Mt. 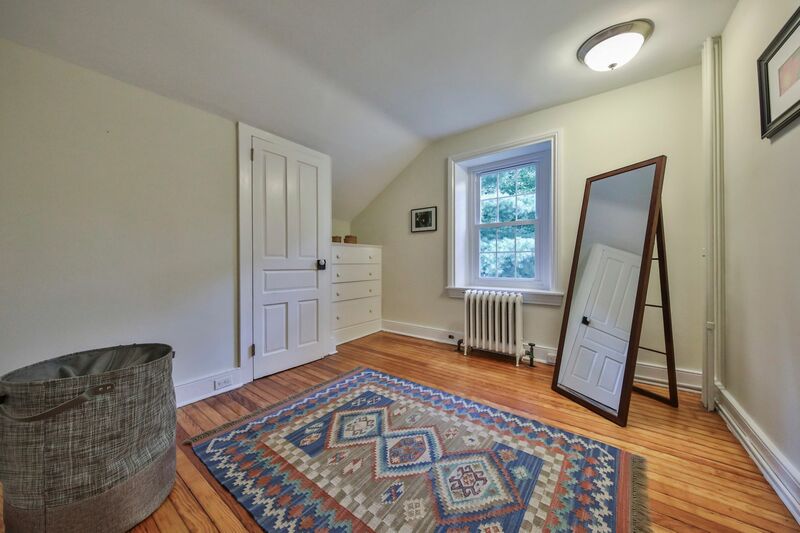 Airy features a 5 BR/ 3.5 Bath historic farmhouse AND a fully renovated 2 BR/1 Bath carriage house on the same enchanting land. 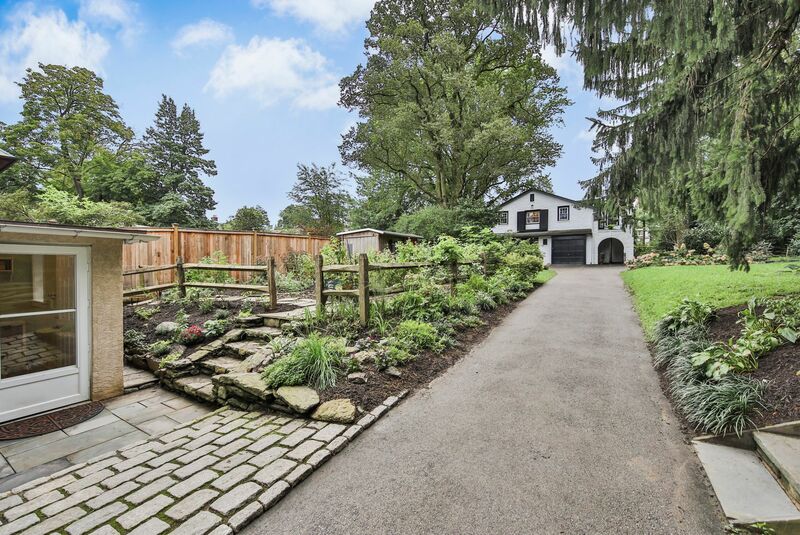 This beautiful compound has been used for multi-generational living for over 100 years, bringing grandparents and grandchildren closer, and allowing families to share companionship, meals, childcare, and many aspects of life. 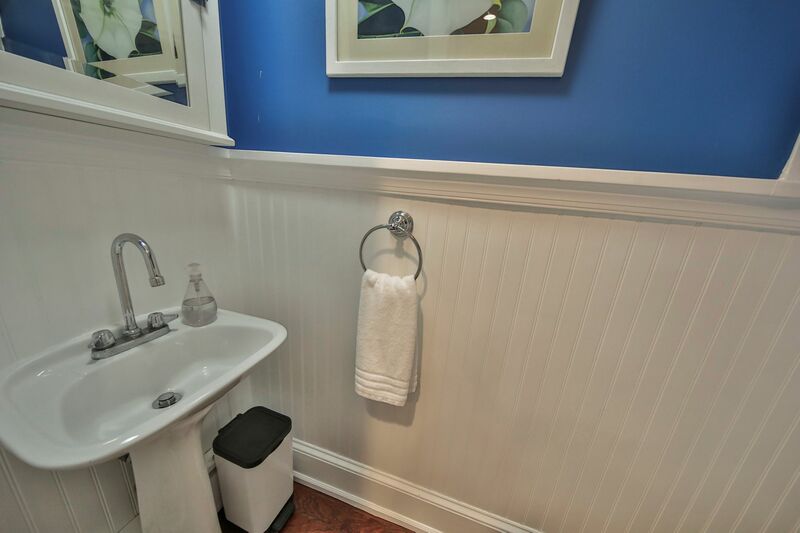 While situated in the heart of Mt. 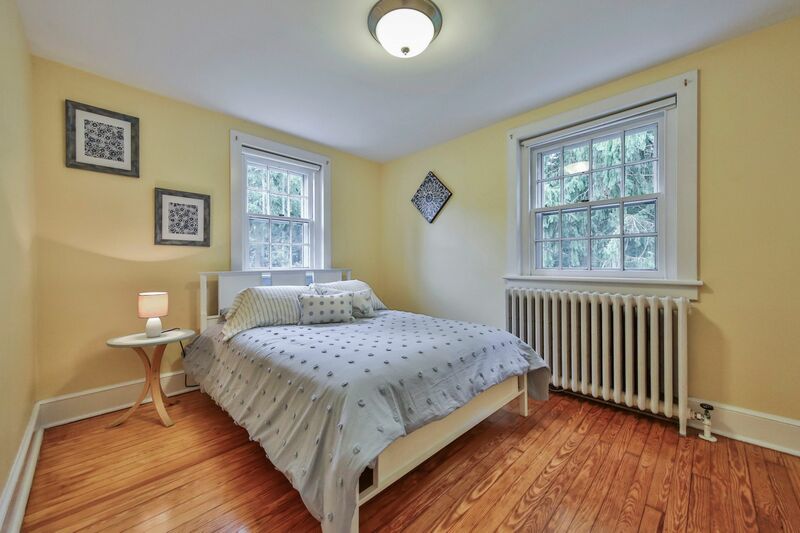 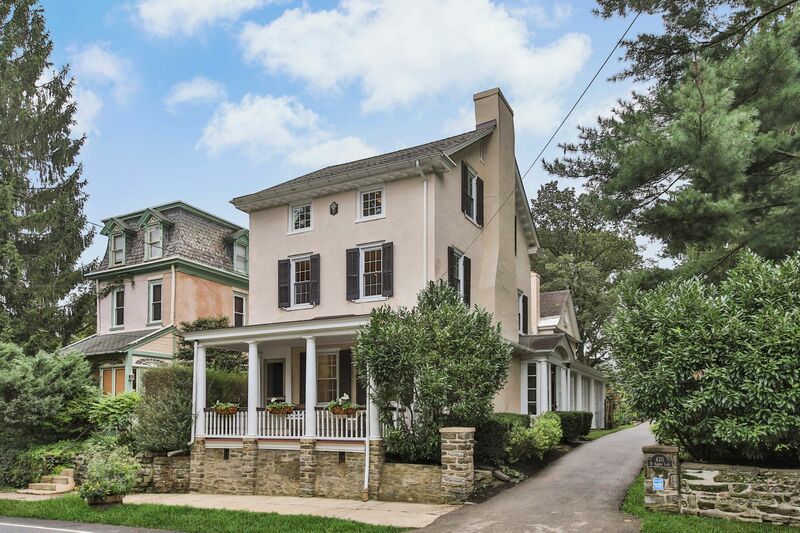 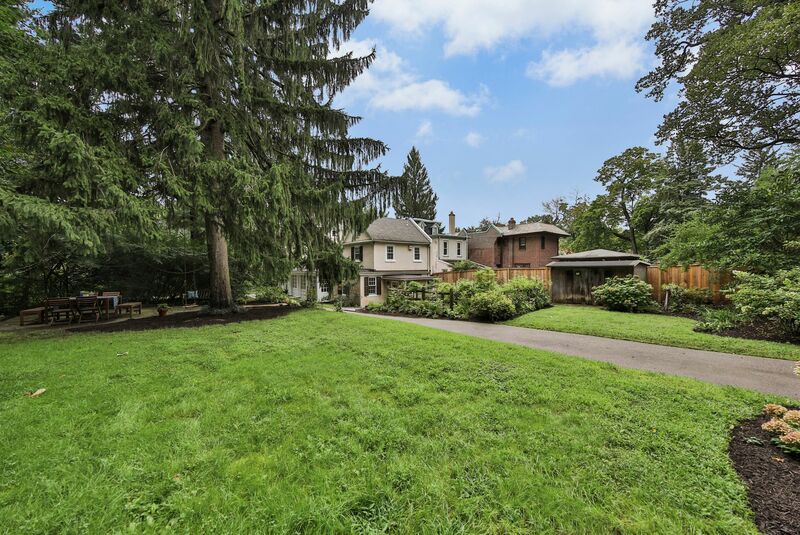 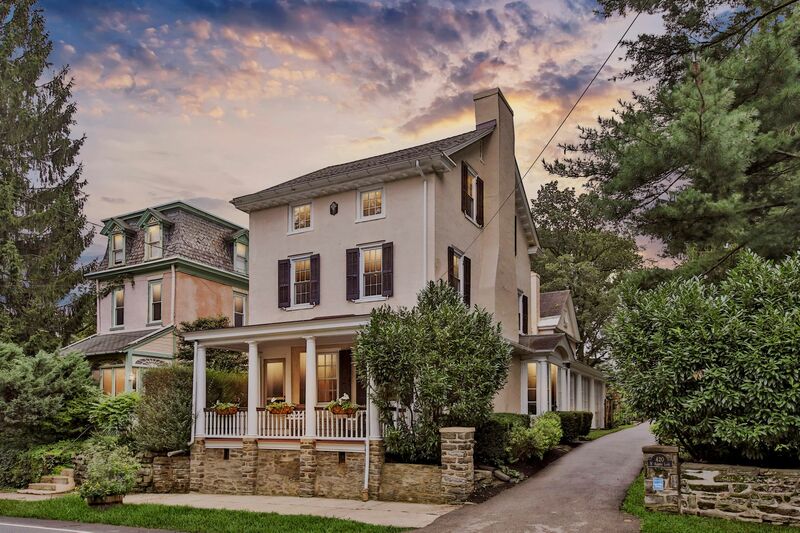 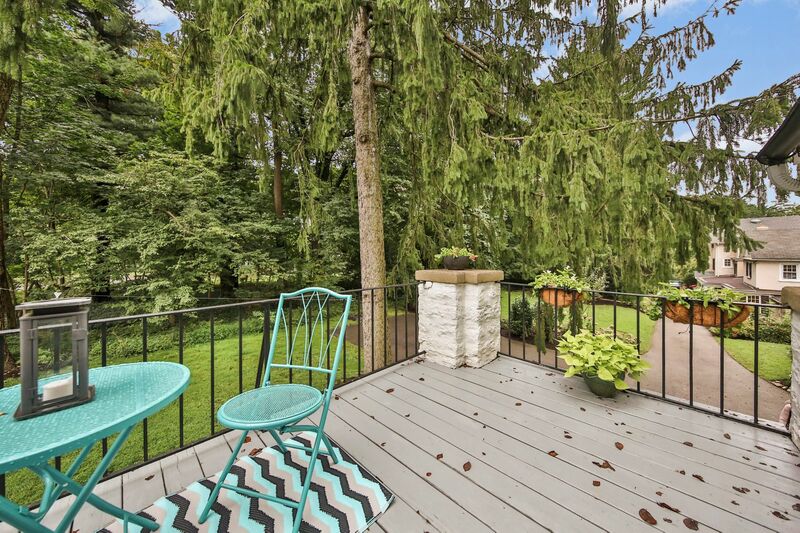 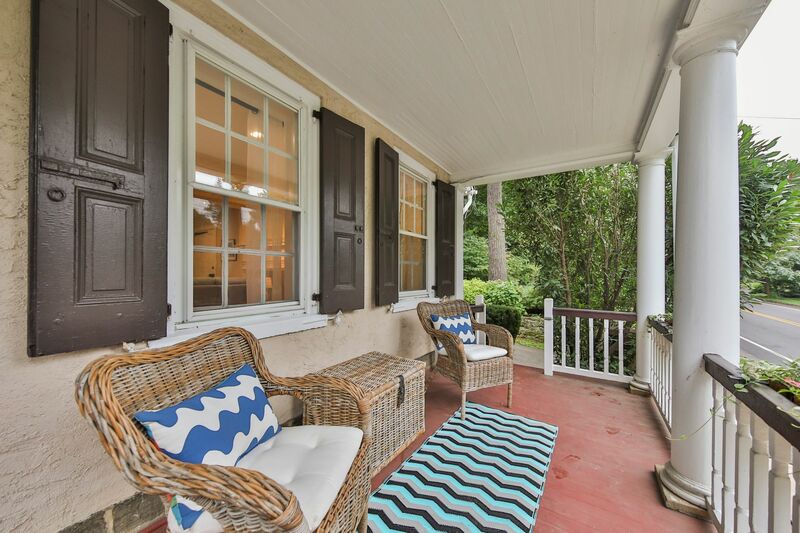 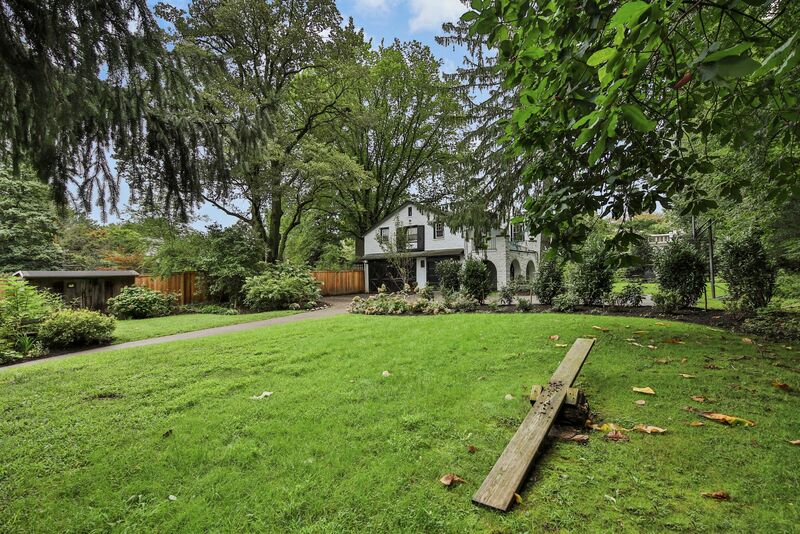 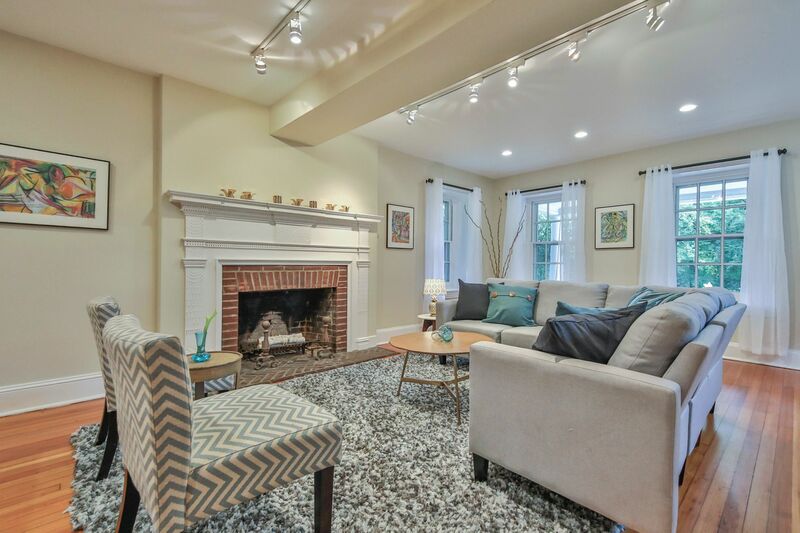 Airy—walking distance to trains, Fairmount Park trails, and Germantown Avenue—this property feels like a tranquil country oasis as soon as you enter the driveway. 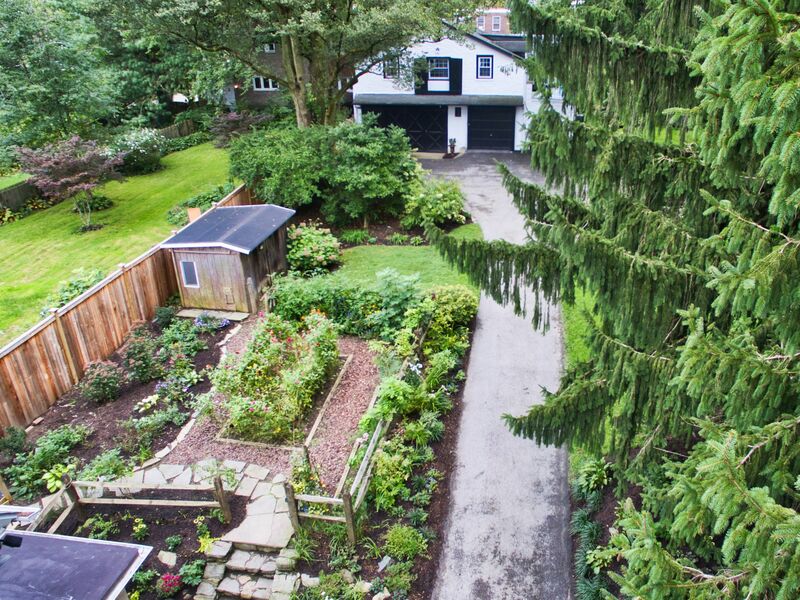 The city drops away as you are enfolded in the greenery of stately mature trees, pollinator-certified flower gardens, lawns with patios, and landscaped shrub beds. 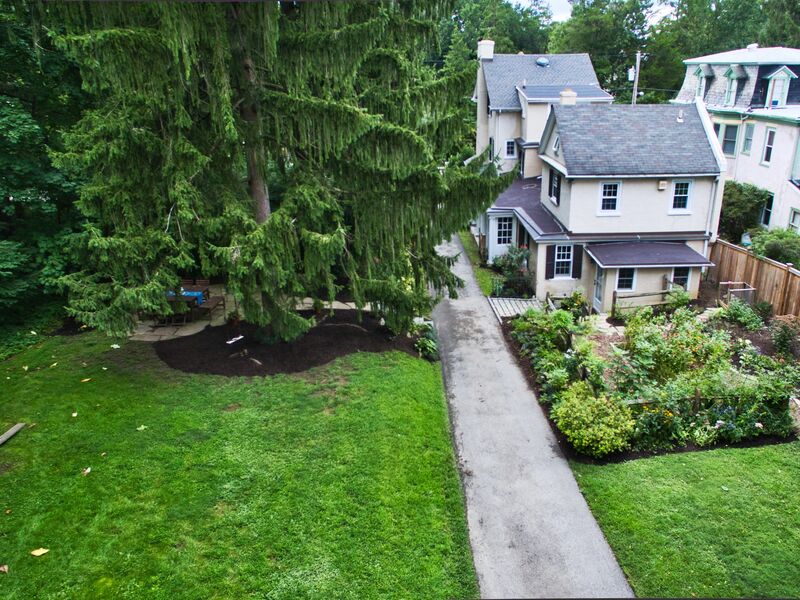 The main house has been meticulously restored to a breathtaking blend of old character and new amenities. 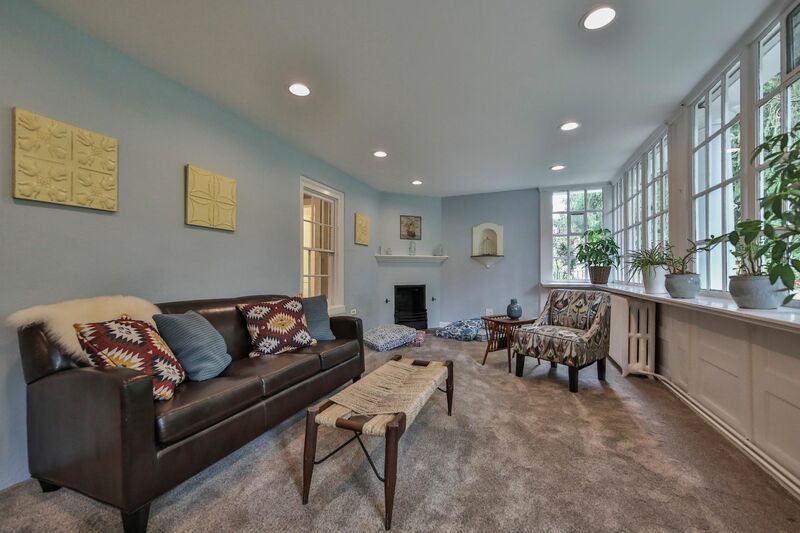 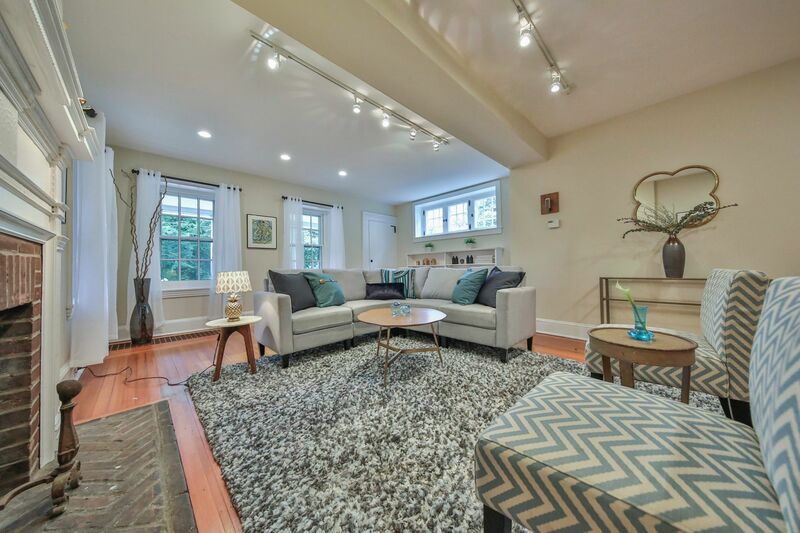 This house is open and sun-lit with refinished hardwood floors throughout, providing beauty as well as unparalleled functionality, perfect for the modern family. 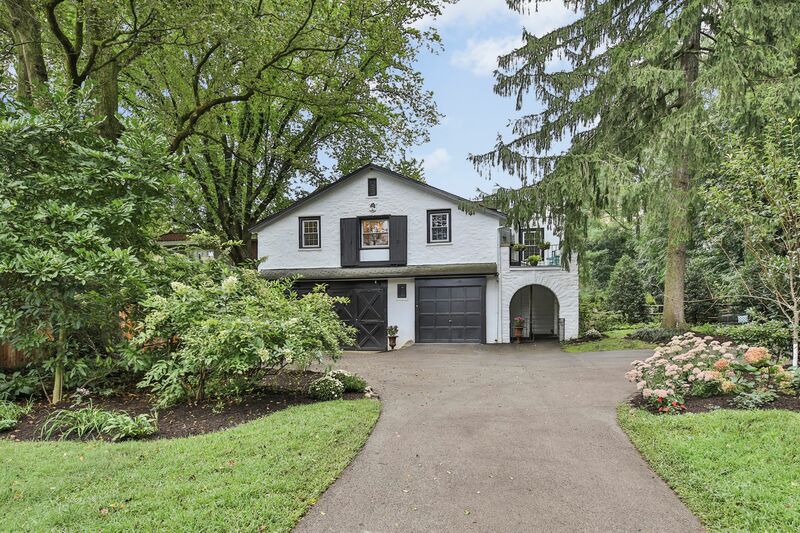 Through a covered front entry, you enter the original 1850’s era farmhouse; a formal living room with an art-deco mantle, large windows, and generous built-in bookshelves greets you. 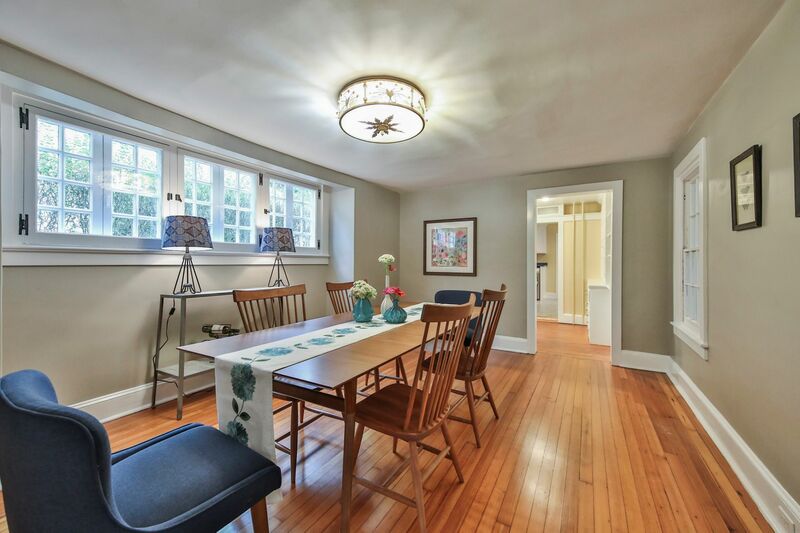 Adjacent are a generous dining room for entertaining and a window- enclosed sunroom perfect for soaking up sun on winter days. 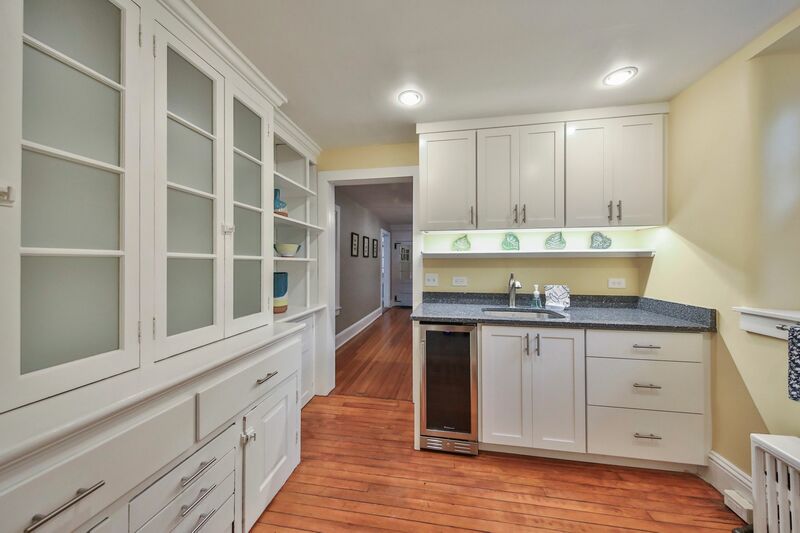 Butlers pantry with capacious built-in, but also wet bar, beverage fridge and granite countertops is great for hosting. 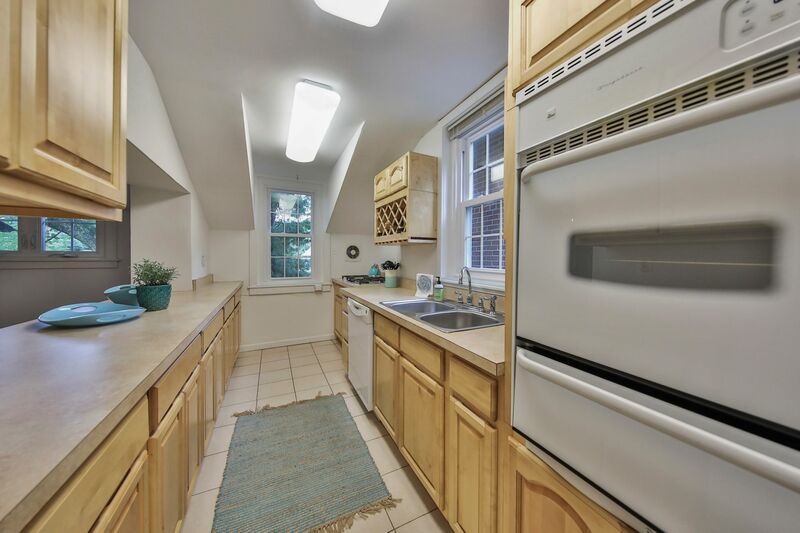 Kitchen is large enough to eat-in, fully renovated with stainless appliances, granite countertops, Smeg chef’s range, radiant flooring, and nearby washer/dryer for maximum efficiency. 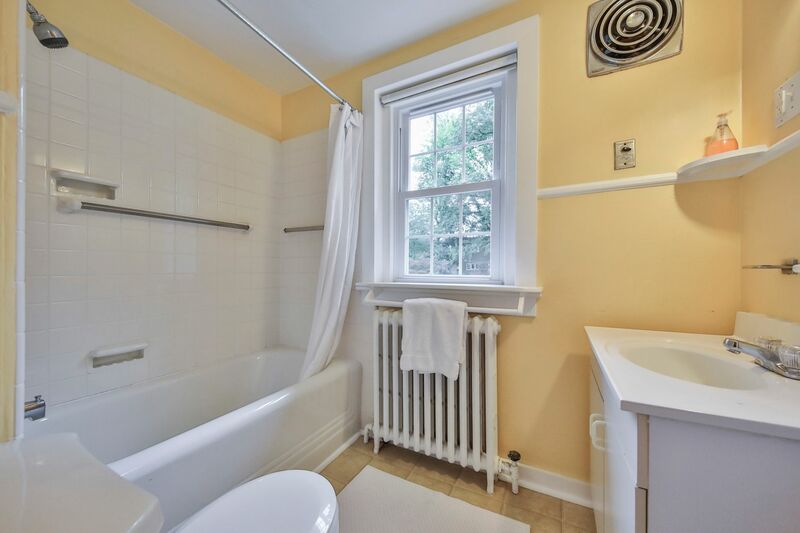 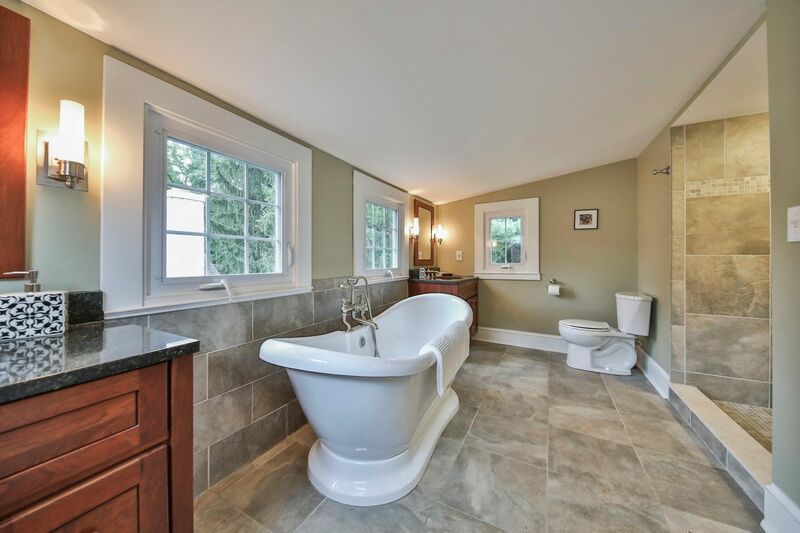 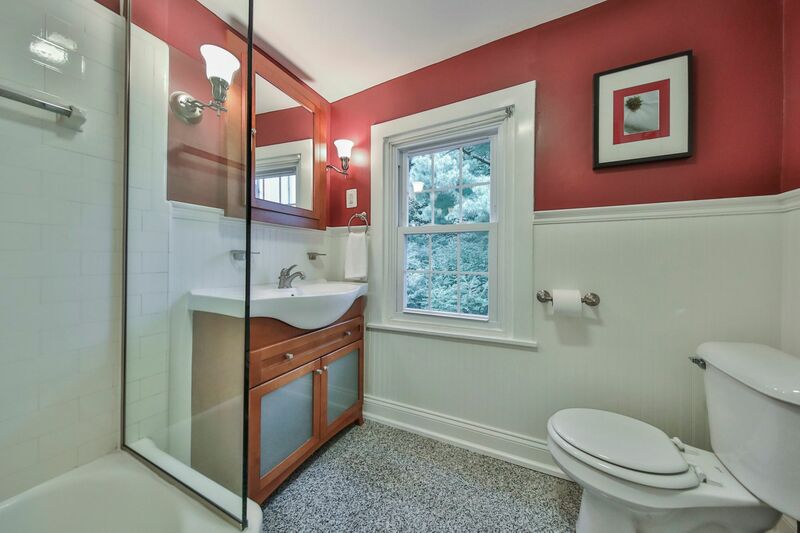 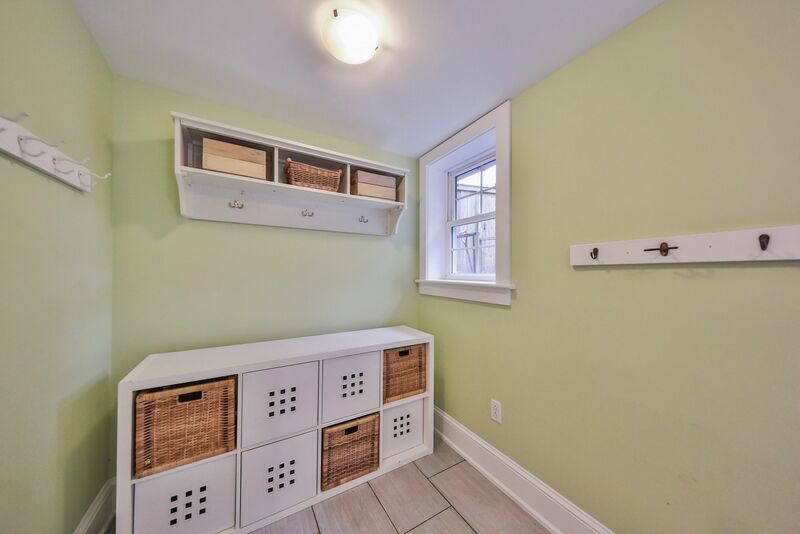 Adjacent are a powder room and rear-entry mud room. 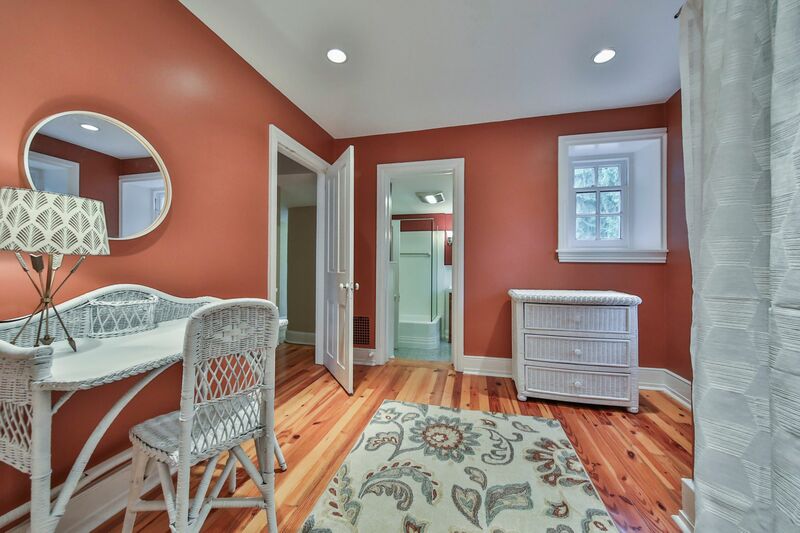 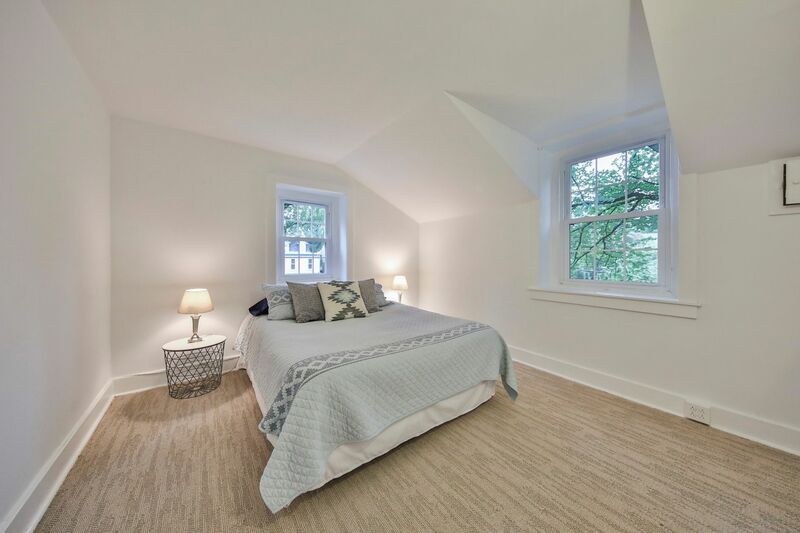 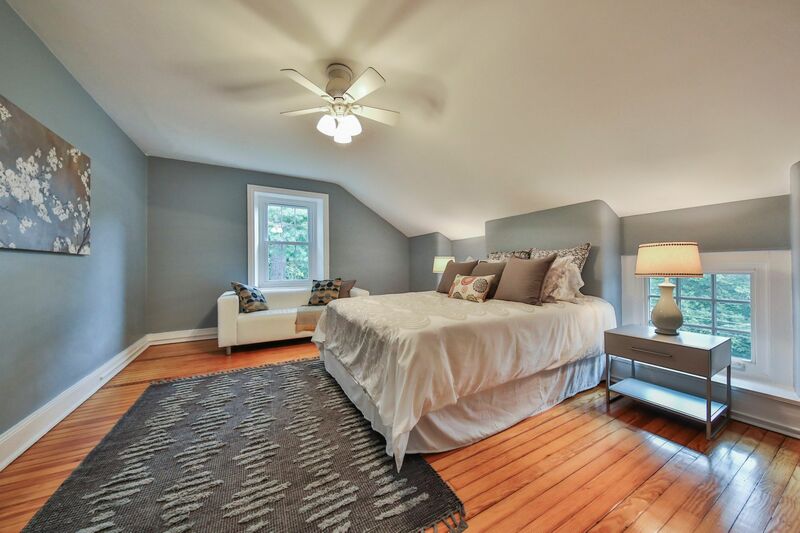 Upstairs in the main house features private living spaces with generous bedrooms and updated bathrooms that offer the option of a master dressing room and home office. 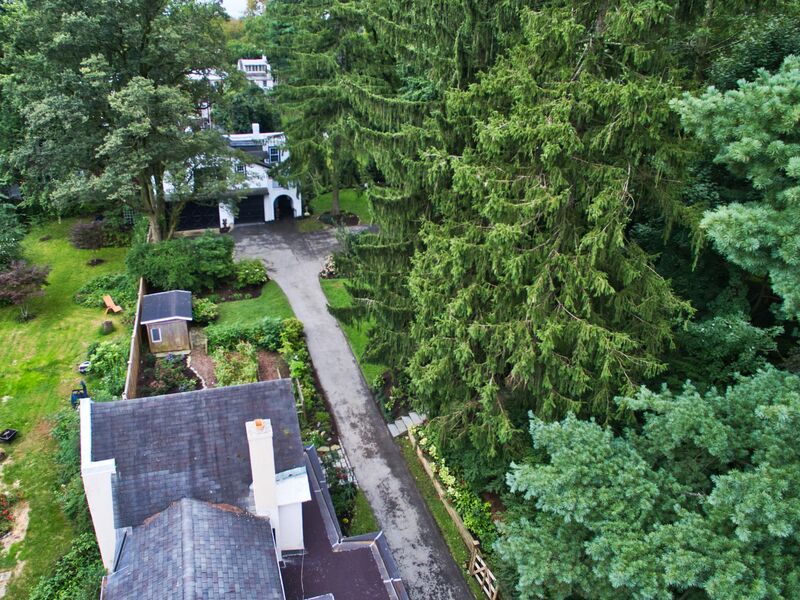 The stately carriage house can be entered via a patio deck overlooking the grounds. 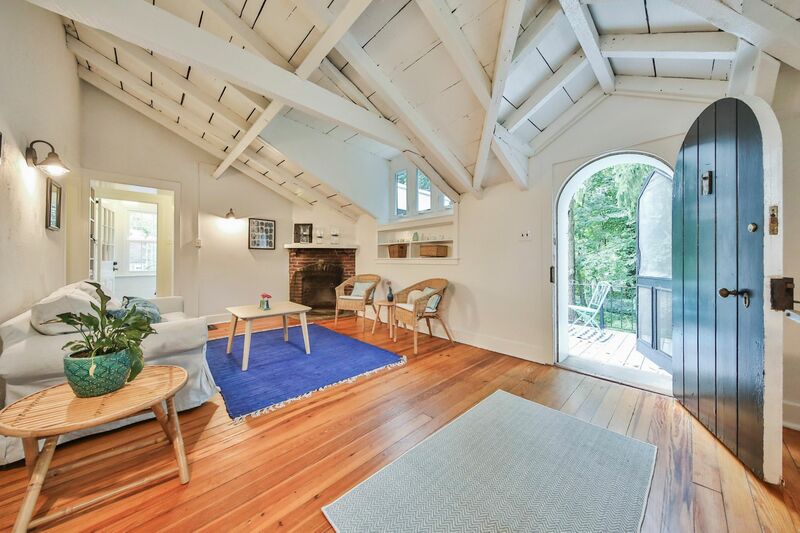 A charming exposed-beam living room greets you. 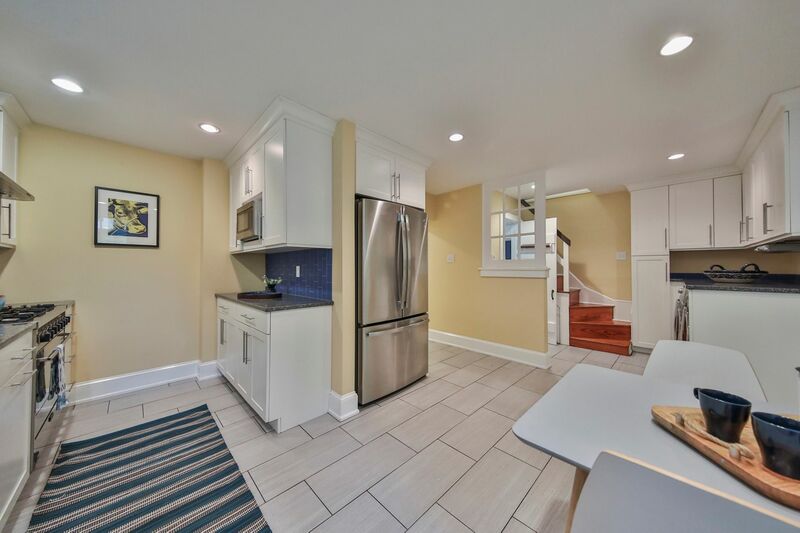 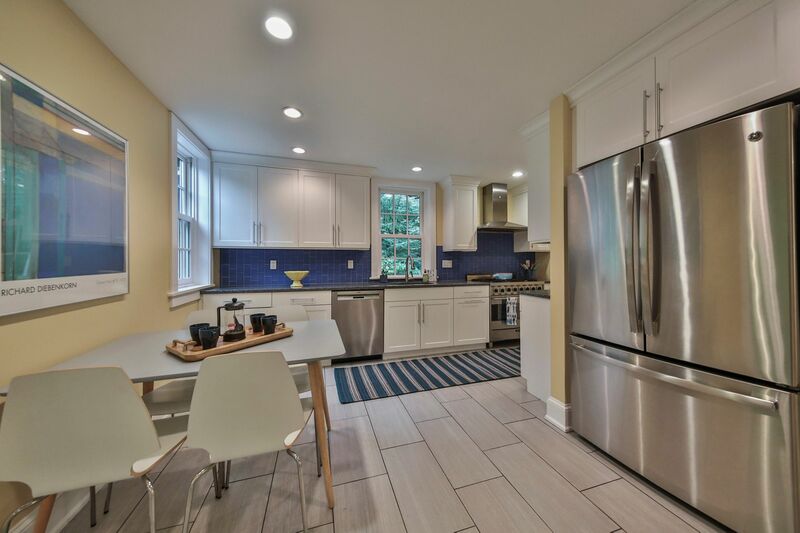 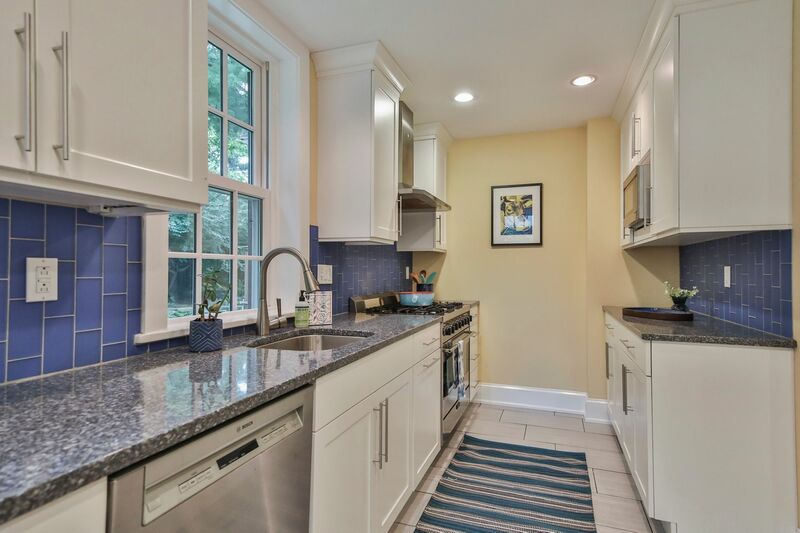 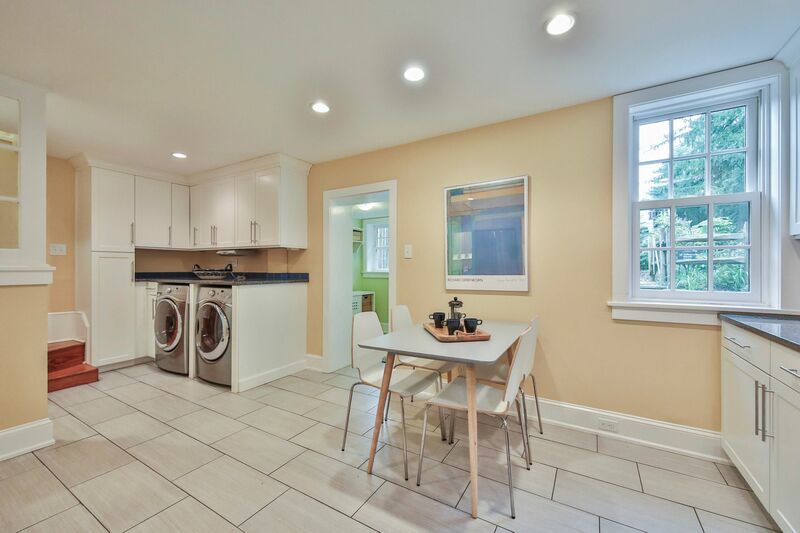 The carriage house contains a modern galley kitchen with a pass-through counter to a dining room, two additional bedrooms and renovated bath with shower/ tub. 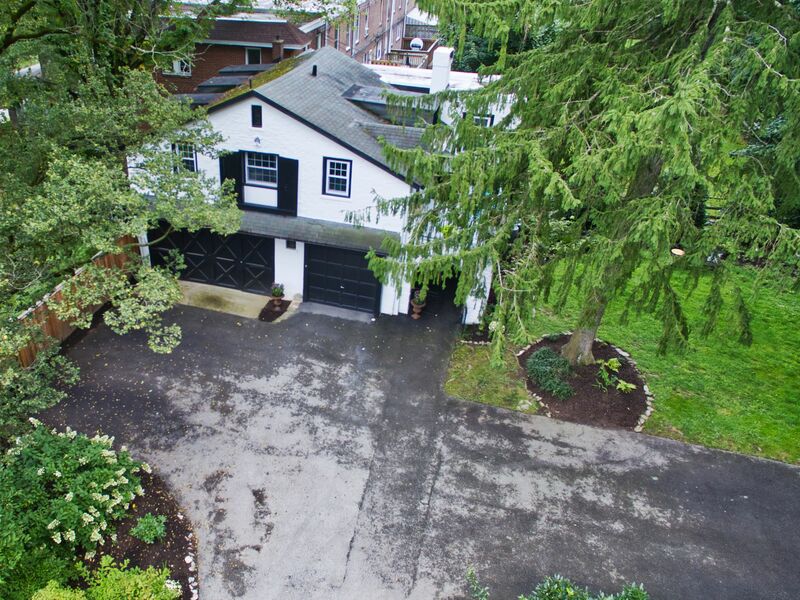 The structure also contains a spacious 3-car garage with electric-car hookup and additional storage rooms downstairs. 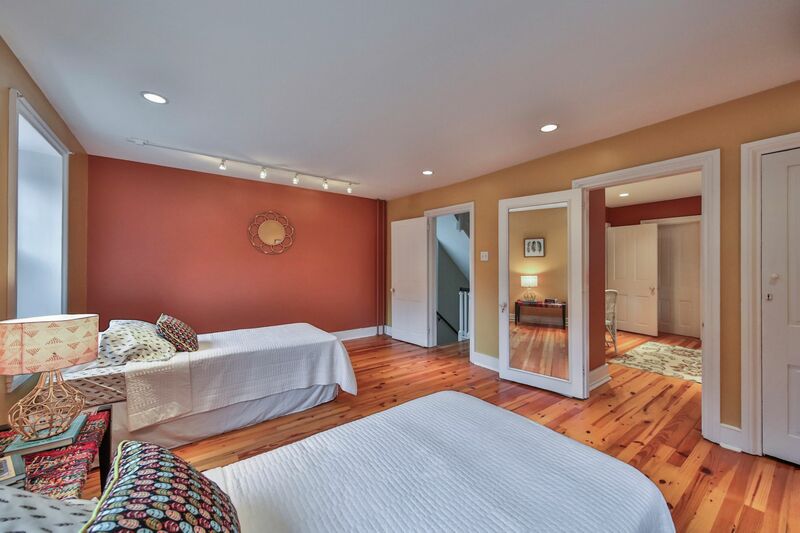 Both buildings have been recently re-wired and re-plumbed and are in excellent shape. 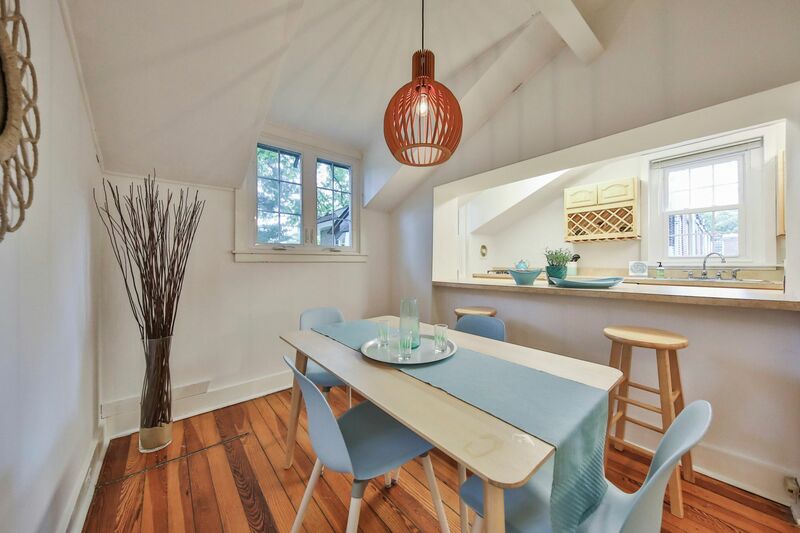 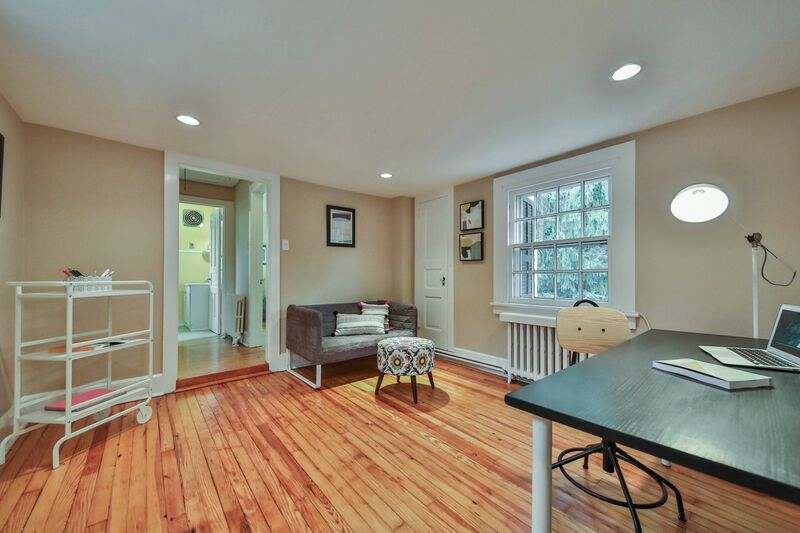 The carriage house apartment could also be used to house an au pair or nanny, as a home office or studio, or for additional income if desired.